*Disclosure: This project was sponsored by General Finishes. Although I was compensated in product, as always all opinions expressed are 100% my own. 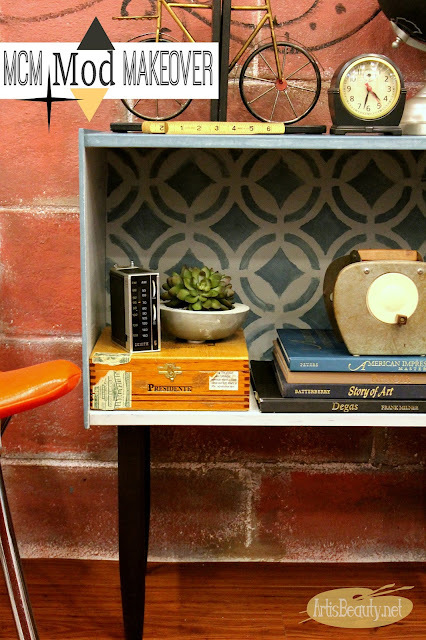 Its time for this months Fab Furniture Flippin Contest. This month’s contest is sponsored by General Finishes and the theme is Fresh Start. 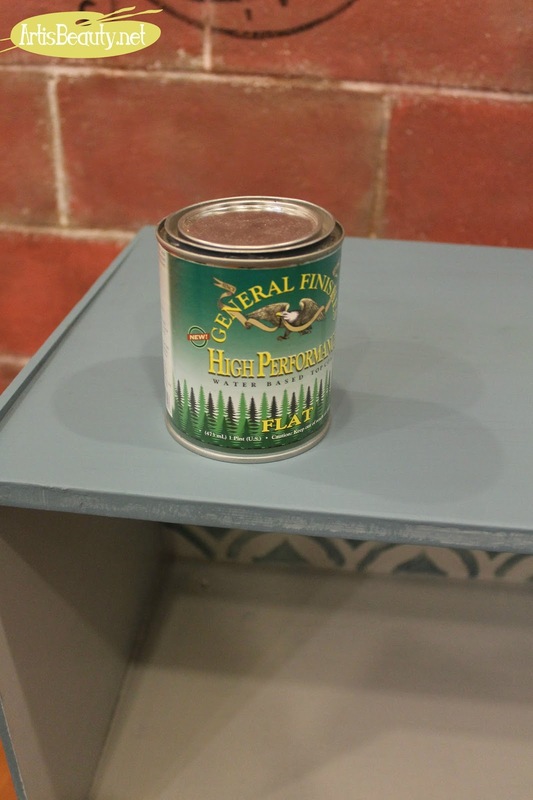 General Finishes Chalk Style Paint is a casual chalky interior matte paint available in 20 contemporary colors. 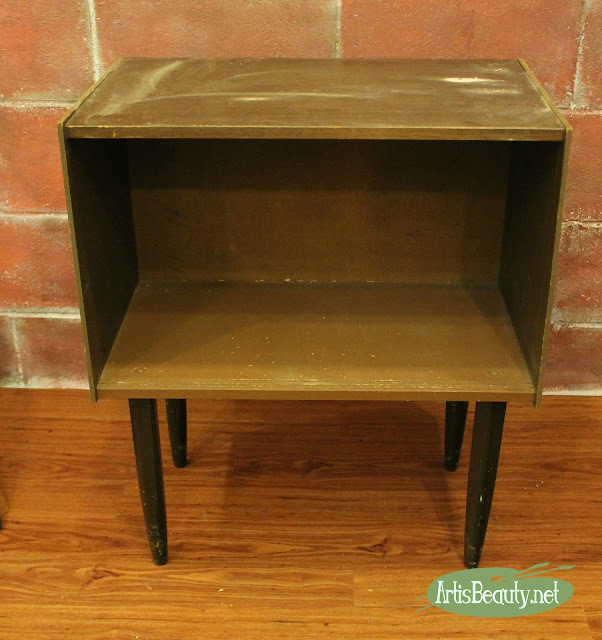 This month’s challenge was to take an old piece of furniture and give it a “Fresh Start” by using General Finishes new line of chalk paint. This is the cabinet I started with. It was on old MOD record cabinet. The doors had fallen off and were thrown out. I loved the design of the piece just not the color. 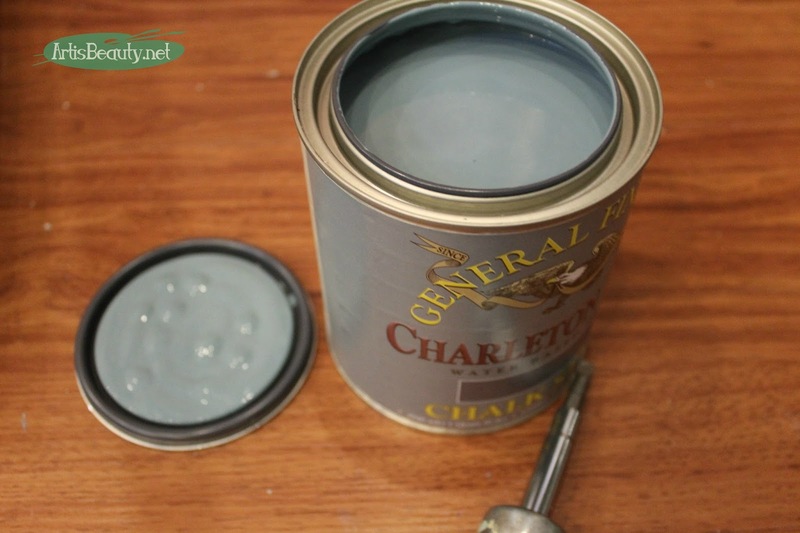 Charleton Blue for the outside. On the inside I coated the whole thing with General finishes Milk Paint in Seagul Gray. 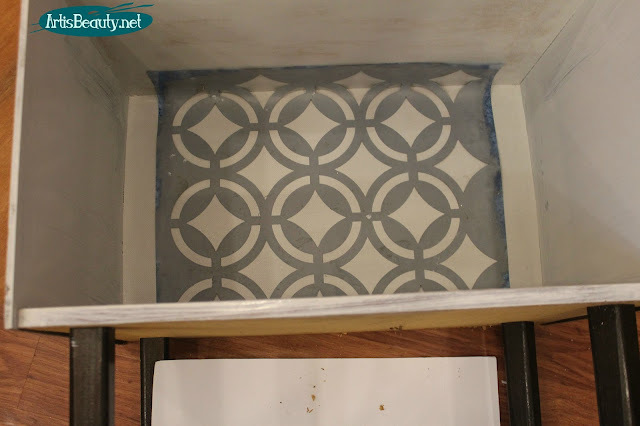 stencil the geometric form on the back of the cabinet. I still can't believe what a difference a nice coat of paint made on this piece. 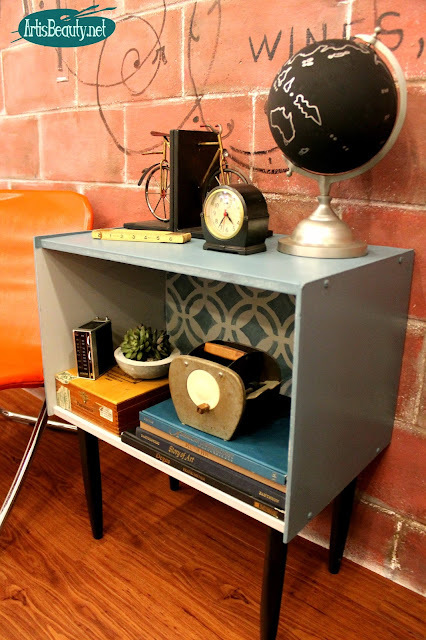 Its the perfect cabinet for the side of the bed or the end of the couch. I want to give a big Thank You to The Fab Flippin’ Furniture Contest and to our sponsor. This month’s theme was fantastic! Want to see what the other participants have done with their projects & the colors they chose? 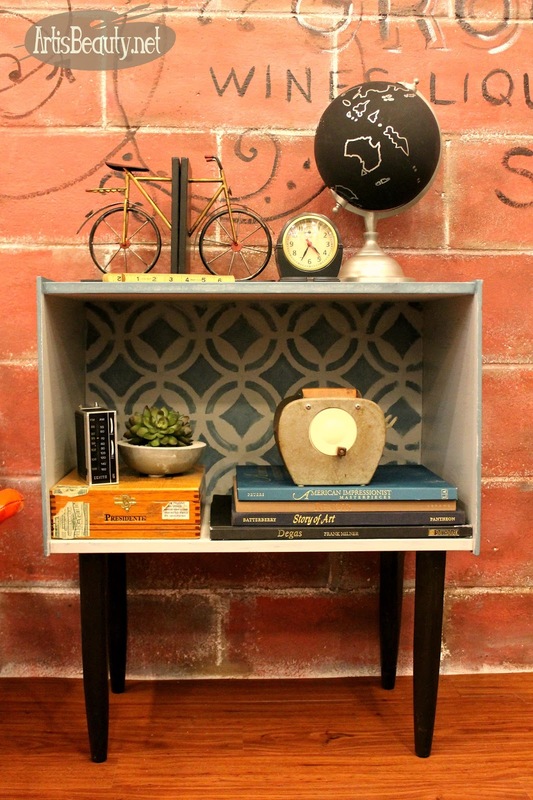 Check out our Featured hosts – Evey of Evey’s Creations and Stacy of Anastasia Vintage. If you’re a blogger and would like to participate in future contests, please feel free to email info@fabfurnitureflippincontest.com for further information.